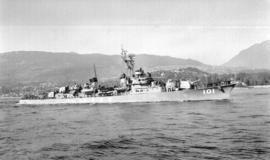 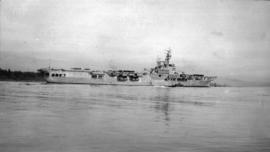 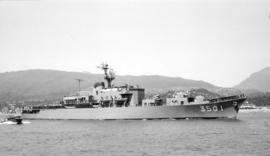 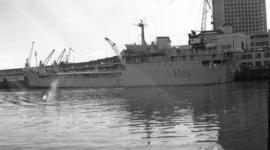 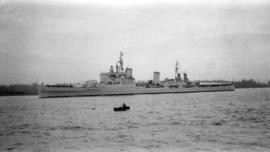 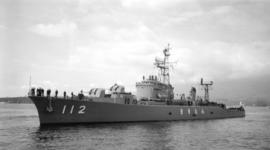 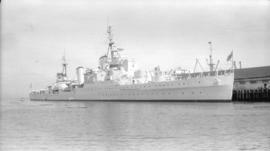 Item is an image of the British Royal Navy ship H.M.S. 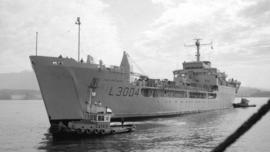 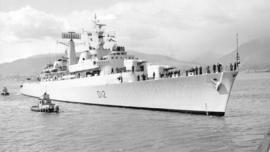 Sir Tristram at C.P.R. 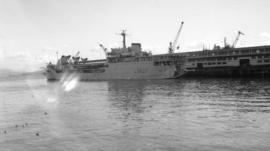 Pier "B". 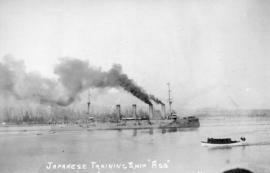 The Sears department store tower is visible in the background. 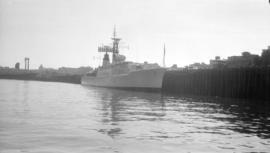 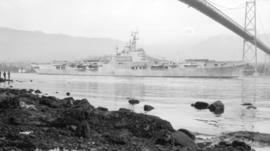 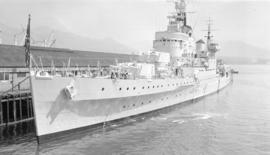 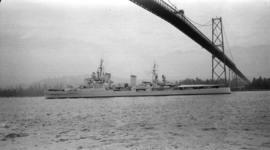 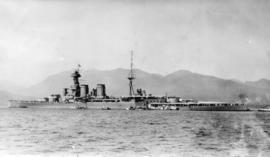 Photograph shows HMS Hood at anchor in Vancouver Harbour. 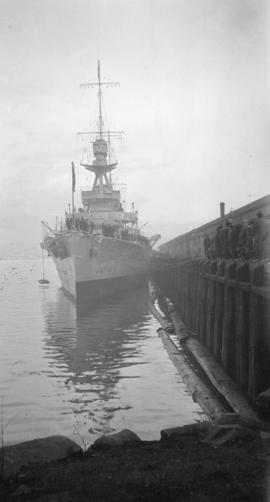 Vancouver was a port-of-call on the Hood's round-the-world Empire Tour. 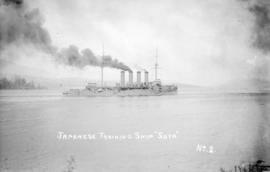 Photograh shows the steam launch for the HMS Hood in Vancouver Harbour. 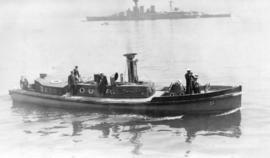 Image includes officers and sailors on the deck of the launch.